Haunted and haunting. Poignant and achingly beautiful. Ribald and raunchy. Evocative and nostalgic. 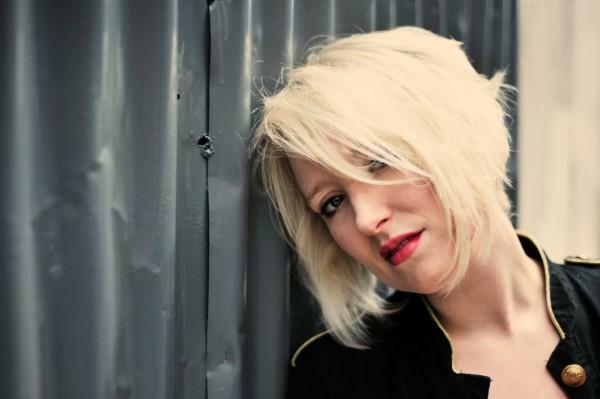 These are just a few of the adjectives that spring to mind as Gwyneth Herbert’s inspired, crowd-funded and self-released new album scatters and spills its contents before the intrigued listener. The Sea Cabinet started life at Snape Maltings in Suffolk, following Herbert’s artistic residency with Aldeburgh Music. The concert at which she introduced this cycle of sea-inspired songs was absorbing, heralding a work of great promise, albeit still very much in progress and charmingly rough-hewn in places. Almost three years later, that promise has been fully realised. Herbert’s wide-ranging musical references – sea shanties, Edwardian parlour songs, folk airs and laments, chansons, bluesy bar songs – are impeccable. And she has woven them into a fluent, multi-textured piece from which her eclecticism emerges triumphant and accessible. There isn’t a trace of pretentiousness. She has laboured over her lyrics, honing and polishing them so that they shimmer across a constantly shifting aural landscape of rhythms and ghostly echoes. The concept of a solitary woman picking her way along the shore and storing the fruits of her beach-combing in a cabinet, provides a beautifully simple arc for the album. Herbert’s achievement is to populate the memories and ideas inspired by the woman’s discoveries with a cast of characters who spring vividly to life before they are absorbed back into the ebb and flow of diverse melodies. Mrs Wittering, the owner of the Regal, emerges from the fading gentility of her tea room to take a bow. The petticoat-flashing “Fishguard Ladies” live once more to see off the French fleet. Old salts and soldiers jostle for position. But there is also plenty of underlying darkness and melancholy, not least in the sombre tale of wartime “Alderney”. 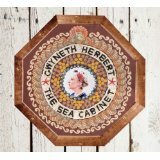 In the beguiling “Sweet” and the increasingly belligerent “I Still Hear the Bells” there is also a sense of the personal experiences that brought Herbert to the emotional place which inspired The Sea Cabinet. 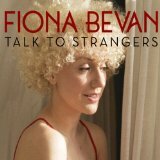 She is ably assisted by fellow singer/songwriter Fiona Bevan, who collaborates on “I Still Hear the Bells” and “The King’s Shilling”, by The Rubber Wellies, and by regular band Al Cherry, Sam Burgess and David Price. 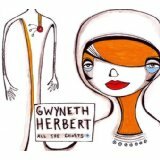 But it’s Herbert’s own voice, ranging from that of a sweet folk siren to jazz canary and late-night blues singer, which gives the album its momentum. Snatches of the songs continue to swirl and soar in the air long after The Sea Cabinet has spun to a stop, not least the “Sea Theme” which opens and closes the set, tempered with field recordings that add pleasingly disturbing frissons of mystery and unease. In its lovingly-produced completeness, this album is a work of art. Renée Oxon sings “Gee Baby, Ain’t I Good to You” on a fire escape in Ottawa. The sound quality on her album, Let’s Call it a Day, (reviewed below) is much better! 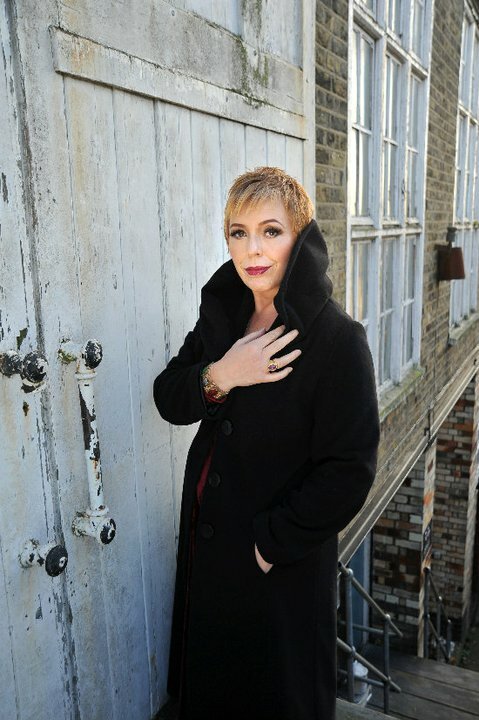 Congratulations to Barb Jungr, whose album The Men I Love has just been named Cabaret CD of the Year by Time Out New York. Barb and Mari Wilson will be joined in the new year by the equally talented Gwyneth Herbert, as they launch a revived Girl Talk with a new show – I Am Woman. Girl Talk begin a week-long residence at The Pheasantry in London’s King’s Road on 8th February. Mari has just released a fabulous slab of electro-pop, with a slash of retro hi-energy, collaborating with Boisounds on a party floor filler, “O.I.C.”, which is available for free download. Marianne Faithfull’s new album Horses & High Heels comes out in March. “I don’t really do conventional,” she warns us in advance publicity. As if we didn’t know. A taster track, the self-penned “Why Did We Have to Part”, is available for free download until 19th January. Back at The Pheasantry, there is a really good reason for fans of Stephen Sondheim’s work to join the Sondheim Society. In tandem with the Society, producer Sam Joseph has conceived a series of Monday night cabarets starring some of the biggest names from all areas of London musical theatre. Society members benefit from advance notice of the programme and discounted ticket prices. Confirmed so far are: Alex Young (10th January), Sally Ann Triplett (21st February) and Mrs Lovett-to be – at Chichester later in the year – Imelda Staunton (14th March). Future appearances are expected by Rosemary Ashe, Janie Dee, Robert Meadmore, Adrian Grove, Graham Bickley, Michael Peavoy and leading West End musical director Gareth Valentine. Who’d have thought a physics degree would be the ideal foundation for a career as a torch singer? OK, so she was doing a little music on the side, but Renée Yoxon’s decision to ditch formulae for the jazz clubs of Ottawa is one of those left-field decisions that can occasionally lead to thrilling careers. And on the evidence of her first album, Let’s Call it a Day, this young Canadian could be the biggest female talent to emerge in her field since Diana Krall. It’s an assured and auspicious debut. Accompanied only by veteran virtuoso René Gely on a selection of guitars – his steel string, in particular, rings with marvellously crisp authority – and occasional piano, Yoxon has reinvented a selection of standards with a refreshing boldness. Not in a revolutionary way, but mainly by re-establishing the lyric as the focus of attention, stripping it away from the overblown tendencies of so many younger interpreters at the moment. Yoxon’s voice is something to treasure. Like one of the UK’s rising stars, Rumer, with her slightly husky accents and bang-on vocal authority, nothing seems to intimidate Yoxon. The opening track, “The Look of Love”, is a case in point. Bacharach’s off-beat melodies are notoriously tricky to do well, but Yoxon slides through it with lightly-oiled ease. Undercurrents of melancholy and Billie Holiday-like phrasing seep through her interpretations of “Willow Weep for Me”, a shimmering “The Masquerade is Over” and of course – with an intimacy that’s almost audaciously spare – “Don’t Explain”. 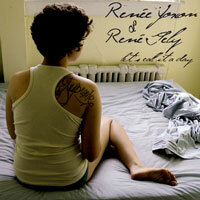 Two self-penned numbers, “Let’s Call it a Day” and “Lovers’ Lullaby” add to the album’s sense of freshness. There’s also a French-language version of Rodgers and Hammerstein’s “It Might as Well be Spring”. If the final track, “One For My Baby”, betrays her youthfulness and lack of cynicism – catharsis seekers will probably miss the spirit of a wracked and bloodshot Sinatra – equally, it hints at what we can expect from Yoxon in the future. She’s set herself a high bar indeed.